When to buy tickets to Hawaii has gotten complicated due to the impending arrival of Southwest Hawaii flights from California. Airlines are using an apparent 90 day delay in commencement of Southwest Hawaii flights to pull back on some sales until the announcement. There will still be sales beforehand, but rest assured that when SWA announces, there will be unprecedented sales across the board. Keeping this in mind, a most frequent question we get is what to do under these circumstances. 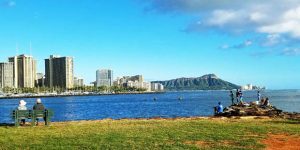 To help you save money and take advantage of upcoming Southwest Hawaii flights and the competitive “Southwest effect,” here are our latest suggestions for Hawaii vacations in late 2018 and 2019. 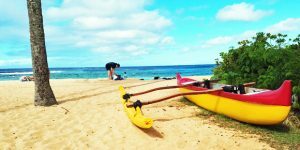 When to buy cheap flights to Hawaii pre-Southwest Hawaii announcement. Late Fall 2018 low season travel (November 27 through December 13, 2018). After Thanksgiving, end of fall airfares will remain competitively priced, making it a great time to travel. More late fall deals should be announced within the next week. Christmas/New Year 2018 high season holiday travel (December 15, 2018 through January 6, 2019). We do not expect Southwest Hawaii flights during this time period. And, when traveling at the holidays, it is best to buy tickets either far in advance or at the last minute. We’re moving towards the last minute. There might be some be deals appearing during Thanksgiving week, Black Friday, Cyber Monday and thereafter for any remaining last minute availability. Also note that accommodations and cars are challenging at Christmas/New Year, and, as with inter-island flights, these should be planned as far in advance as possible to avoid problems. Winter 2019 low season travel (January 8 through mid-March 2019). We do expect Southwest to be operating during this period in our latest Southwest Hawaii update. Widespread winter (and perhaps spring) 2019 airfare sales will start as soon as the announcement comes. Some deals already happened that included early 2019 dates, and those may continue even in advance of SWA’s announcement. Winter had been an expensive time of year to visit Hawaii. In the last few years, however, winter prices became more moderate. Spring break 2019 high season travel (mid-March to early April 2019). When traveling at spring break, it is usually best to buy tickets as far in advance as possible due to lack of deals and limited availability. Prices are typically 50% higher than right before or after that period. 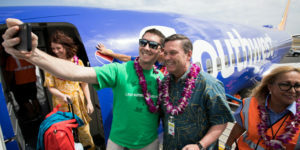 This upcoming spring break, however, could have some good surprises, since we will have Southwest flights operating. Therefore, if you’re flexible, we’d suggest waiting until new flights are announced. Spring 2019 low season travel (mid-April through June 13, 2019). 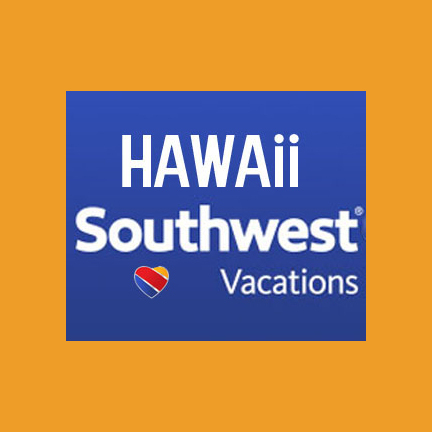 Look to purchase value priced tickets starting with the announcement of Southwest Hawaii flights. Summer 2019 high season travel (June 8 through August 12, 2019). Much as with spring break and Christmas/New Year holidays, when traveling during peak summer in any year, it is generally best to buy tickets as far in advance as possible due to both lack of deals and limited availability. Prices are typically 50% higher than right before or after peak season. Travel starting early August sees some softening in prices. Summer 2019 should also see surprises due to new competition as a result of Southwest Hawaii flights. Therefore, if you’re flexible, we suggest waiting until Southwest announces before purchasing. While we aren’t going to see $99 airfares during peak summer, we would not be surprises to see fares from key west coast gateways drop 30% during summer 2019. 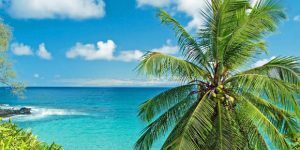 Late Summer/Fall 2019 low season travel (August 12 to December 5, 2019, except over Thanksgiving).Late summer to fall airfares will be priced competitively, and availability is good in fall. That will be even more the case in 2019, making it an optimal time to travel to Hawaii. The first sales released from Southwest and competitors probably won’t feature that time period, so you may need to wait for best deals and buy at about perhaps 3 months in advance. Christmas/New Year 2019 high season holiday travel (December 13, 2019 through January 6, 2020). The best window of opportunity to purchase for Christmas/New Year begins each year at the end of January. Those who come to Hawaii at the holidays tend to purchase close to a year in advance to avoid disappointment. Remember that accommodations and cars are challenging at the holidays, and, as with trans-Pacific and inter-island flights, must be planned far in advance to avoid problems. Tip: At Beat of Hawaii we have our fishing net out to catch Hawaii vacation deals for you. Please subscribe to our free updates to reel them in first or like us Facebook. Then stay tuned and act quickly on announced availability to save time and money.